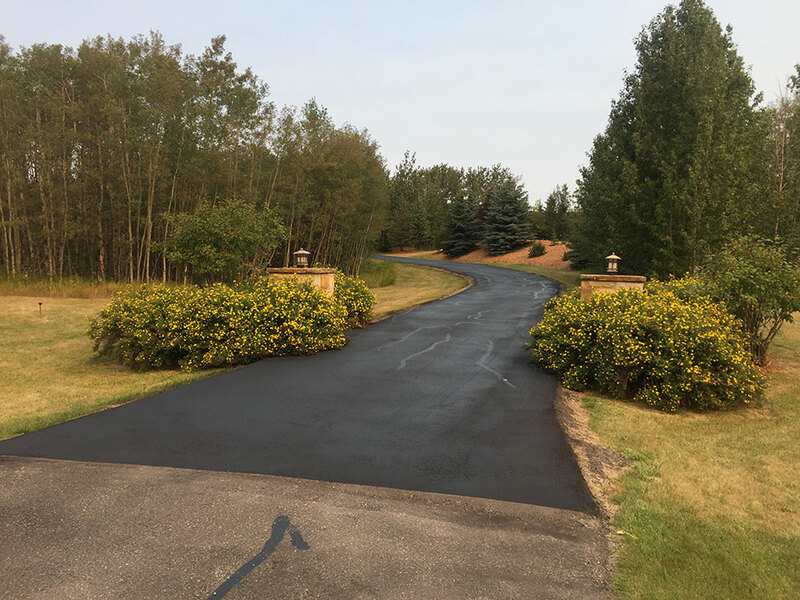 Asphalt sealcoating and crack filling ensures that you not only prevent the need to repave, but you increase the longevity and value of your original investment considerably. Asphalt sealcoating is a great way to prolong the life of your asphalt. We take an asphalt-based waterproofing material and spray it over the surface. This seals cracks, and prevents water from seeping in and creating potholes and more cracks. As an added bonus to it’s protective properties, it also makes the asphalt look brand new with a clean black-top look. Water deterioration can be detrimental to your asphalt. Asphalt crack filling is the process of filling in the cracks that have formed to prevent water from getting in and damaging your asphalt. Roughly, 75% of cracks will turn into potholes if water begins seeping in. Maintaining your asphalt and filling in cracks protects and retains the stability of the sub-grade base extending the life of your asphalt. Annually filling in cracks and maintaining your asphalt is the key to protecting your investment. At EverLine Coatings, our commitment to top notch quality is what enables us stand out from our competitors. Our CORE quality system allows us to ensure we exceed our clients expectations. Our CORE quality system stands for Clear Scope, Operations Reports, Reach Out and Evaluate. Adhering to this system ensures we always consult our clients to ensure the work we are completing is in their best interest and that our clients can ensure quality throughout all the steps of our services. At EverLine we strive provide the absolute highest quality asphalt sealcoating and crack filling services. At EverLine, we do not thin out our products, we apply our sealcoating and crack filling products according to manufacturer recommendations. This ensures the longevity of the crack fill or seal coating that is being administered. Our meticulous preparation process is also a major factor in providing quality crack filling and sealcoating services. We ensure that all cracks are cleared and sealed properly and that the ground is free of dirt and debris before sealcoating. This ensures a good bond and a long lasting repair. Another step we take to ensure quality is that we always apply two coats of asphalt sealant on the surface to maximize value and durability. We also only carry products that are built to take on tough Canadian winters. 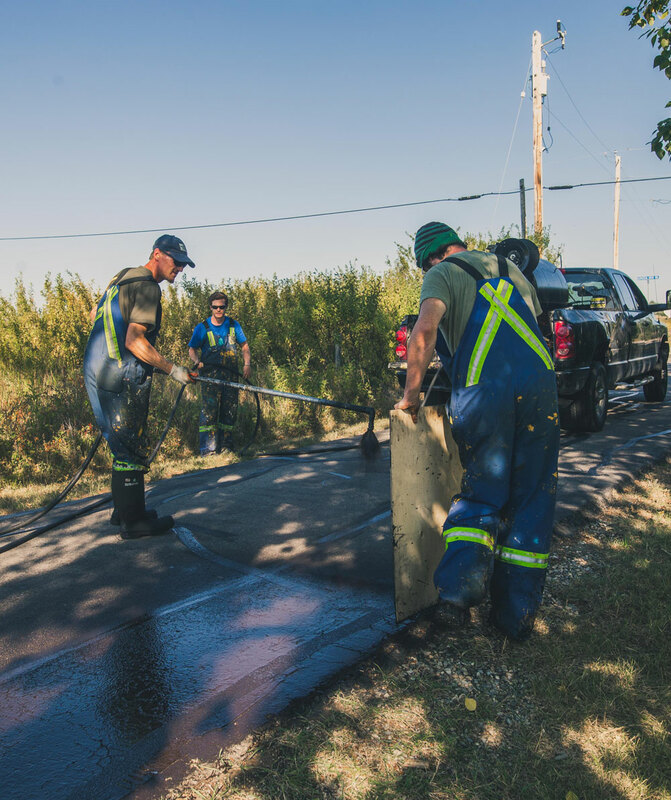 At EverLine Coatings and Services, we have unmatched industry experience and expertise when it comes to asphalt sealcoating and crack filling. Regardless of the surface you need sealcoated or filled, our trained professionals can help. Whether it is a parking lot, driveway or street we have the equipment and products to protect and extend the longevity of your asphalt surface, keep it looking good and save you the expense of repaving. Our sealcoating and crack filling services come with numerous benefits. Some of these benefits include: slowing down the deterioration of pavement considerably, better traction, improved ride quality for vehicles, it makes your surface looks like new, it minimizes the effect of repaving on the environment in the long run and saves your business a considerable amount of money. If you are going to be receiving crack filling or asphalt sealing services from EverLine Coatings and Services in the near future, there are some steps you can take to prepare your surface to make the job easier. Preparing your asphalt surface will help us complete our work in an efficient and timely manner. At EverLine project pricing is determined on a per-job basis. Depending on the volume, difficulty, traffic and materials being used on site pricing can fluctuate. To ensure the best pricing we require a detailed summary of your project and a budget you need to work within. If you are interested in receiving a quote on a project you are interesting in having done please contact us. We have worked within a wide variety of budgets and can work with you to find pricing that will work for your business.